Drones are an underestimated technology. As they whizz about, quietly revolutionising film making, photography, archaeology, agriculture, surveying, project management, wildlife conservation, the delivery of goods, food, post, even medicines and into disaster zones, we will be seeing a lot more of them. This year I've been in Kigali, Rwanda chairing an event an E-learning Africa on drones, as their use in Africa clearly benefits from the ‘leapfrog’ phenomenon – the idea that technology sometimes gains from being deployed where there is little or no existing service or technology. 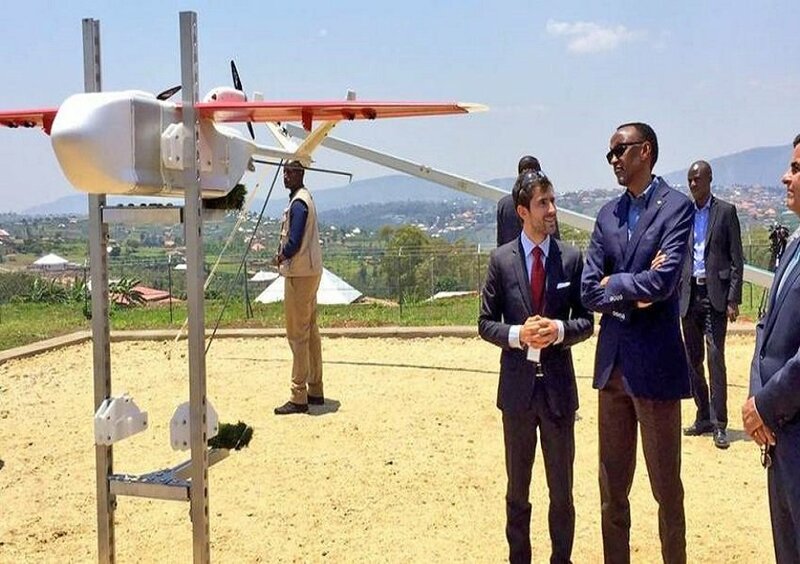 Rwanda and other African countries are already experimenting with drones in everything from agriculture to medical supply delivery. I also spoke at the Battle of Ideas on drones in November. Like any technology they are a force for good but also have a downside. Like cars, we all drive them, but 1.3 million people die gory deaths every year in car crashes and that figure doesn't include the injured. Almost all tech has a downside. So it is with drones. They saves lives in Rwanda by delivering blood but are used to kill in the Middle East and disrupt entire airports for days, as in Gatwick. What makes them interesting is the intelligence they now embody. First their manoeuvrability. My friend is a helicopter pilot and he rightly describes a helicopter as a complex set of moving parts, every one of which wants to kill you. A drone, however, has sophisticated algorithms that maintain stability, can set it off on a mission and return it back to the spot it left from at the press of a button. But it is the autonomy of drones that is really interesting. Navigation and movement are being aided by image recognition of the ground and other objects, to avoid collision. Even foldable, consumer drones now have anti-collision sensors on all sides, zoom lenses. They are the self-driving cars of the air. Image recognition also enables surveillance. A $200 drone can hover, shoot video of a crowd and use AI to identify potential and actual violent poses, such as strangling, punching, kicking, shooting, and stabbing. These are early systems but their use and abuse by police-forces and/or authoritarian regimes is a cause for worry. Google recently gave into pressure from its own employees not to use its AI (Tensorflow) in Project Maven – image recognition from military drones. And let’s not forget that drone industry is, at present, largely part of the military industrial complex. The IBOT (Internet Battle of Things) is a thing. The military are already envisaging battles between autonomous battle objects – drones and other autonomous vehicles and robot soldiers. On the delivery side, drones are also a pretty effective drug mules into prisons. This has become a real problem, turning jails into markets for drugs, where the prices are x10 higher. And for a truly petrifying view of payloads drones in warfare, watch Slaughterbots. With use comes abuse. First, it is doubtful that drones will be used to deliver anything in complex, urban environments. It is certain that flying taxi drones will not take off. On drone taxis, as Elon Musk says, we already have them, they're called helicopters. You need a big beast of a drone to carry people and the physics of this means lots (and I mean lots) of noise - that's why they're a non-starter. The social acceptance problem is huge. However, for specific line of sight uses by firefighters, police and so on the uses are clear. Drones are not integrated into the airspace and that airspace is getting pretty full in the developed world. Pizzas and Amazon books are not going to be delivered to your home any time soon. There is safety, regulatory and social issues to overcome. Technology is always ahead of sociology and regulations. In the case of drones the lag is enormous. Technically drones can deliver things safely and never collide. However, the potential for problems is through the roof. They are limited to 'close to pilot' uses. Think of them as flying mobile phones, as they use much the same tech. They have not come from the world of aviation. In terms of regulation, we still see drones over crowd (illegal) and close to roads (illegal). So what about irresponsible pilots? Those with ill-intent can interfere with drones, not only blocking signals but even falling them into thinking they're somewhere else. The potential for interrupting normal business is huge as it the potential for delivering harmful payloads - think Scripal, think dirty bombs.... We may have spent £100 billion on Trident but our air traffic can be brought to a standstill by the mere presence of a £200 drone. One solution is to demand that drones have internal intelligence that keeps them safe - that they cannot go near airports/planes, crash into crowds (find safe place if fault) and so on. Sound good but this is not easy. Drones, like your car, or aircraft, uses GPS. That's fine when there's a driver or pilot but in a drone it doesn't work. GPS can be jammed, and drones even told that they're somewhere else. You can build one for tens of dollars from YouTube videos. Of course, what many don't realise is that almost all commercial airliners are, in effect drones. They fly and land autonomously with the pilots doing mostly monitoring. There may be a future of autonomous drones, but it's way off without failsafes. Although some other niche uses are being developed, such as delivery of internet access and window cleaning, the main uses are as an eye in the sky or dropping stuff off. Already used in crop spraying, there are other obvious applications in imaging to show irrigation, soil, crop yield, pest infestations. 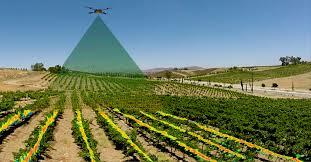 Drone imaging can see things on scale, which the normal eye cannot see, with it spectral range. This should help to increase yields and efficiency. The Global Market for agricultural drones is expected, in one report, to reach $3.69 billion by 2022. Animals close to extinction in areas too large to keep them safe from poachers. Drones are being used to track and look out for these animals. 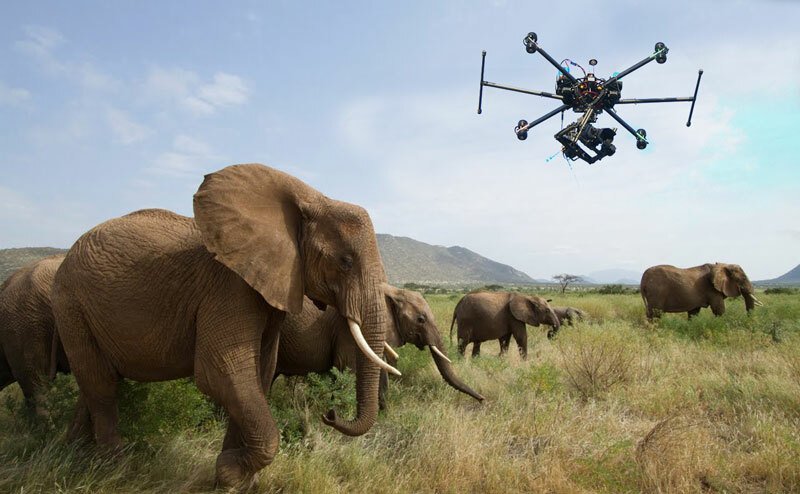 Tourist companies are using drone footage to encourage Safari holidays. In general, environmental care is being helped by being able to track what is happening through cheap drone tech. Large building projects or mines are being managed with the help of drones that can help survey, plan, then track vehicles, actual progress and build. It’s like having a project management overview of the whole site whenever it is needed with accurate realtime data. When built, drones are also being used to inspect roofs and even sell properties. Collision tolerant drones are being used, not in the open air, but in confined spaces, such as tunnels, to inspect plant and pipes. They are small enough to get to places that are too tight or dangerous for humans. Amazon, Google, DHL, FedX and dozens of other retailers have been experimenting with drone delivery. All sorts of issues have to be overcome for drone delivery to become feasible, including: reliability, safety, security, theft, cost, training, laws and regulations. But there seems to be an inevitability about this, especially if they become cheap and reliable. That reliability depends very much on AI in terms of flight, locations and actual delivery. Zipline, in Rwanda, have partnered with the government to deliver blood and other medical supplies to 21 facilities. The benefits in term of speed, cost, accurate delivery and saving lives is enormous. Sudden, unexpected disasters need fast, location specific drop-offs of medical supplies, food and water. The delivery of ordered items is already being trialled with pizzas, books and everything else that is relatively small, light and can be dropped off at a specific location. The Burrito Bomber, Tacocopter and Domicopter deliver fast food. 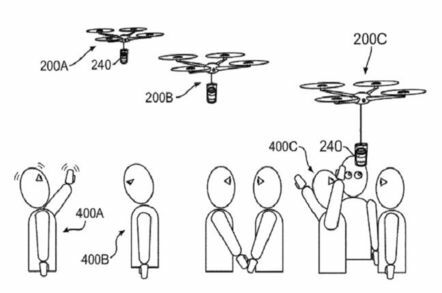 IBM even have a patent for delivering coffee by drone. Delivering the post by drone makes sense and trials have been done in Australia, Switzerland, Germany, Singapore and Ukraine. Again speed, reliability and cost are the appealing factors. Tech can be used and abused. 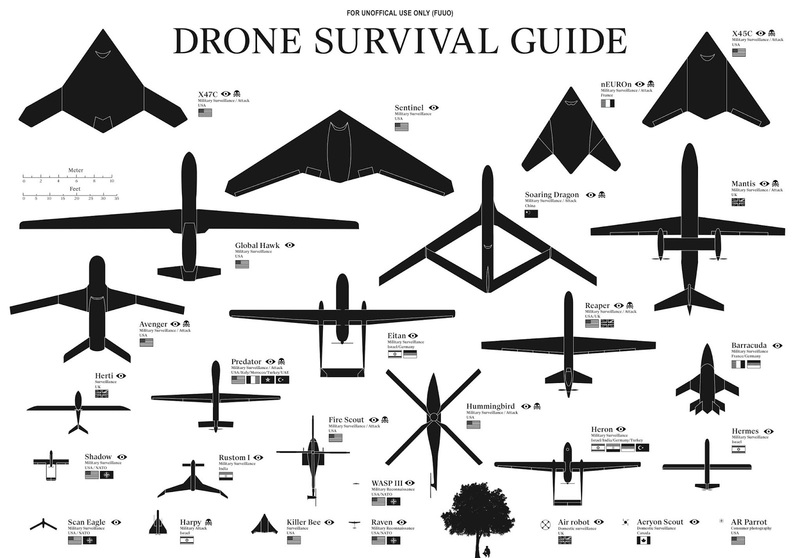 Drones are the perfect example, already killing machines, they also have the potential to save lives. The good news, is that in Africa, the attention is on the latter. In the developing world, safety, social and regulatory environments mean that little is possible commercially.